Uber Technologies Inc had $50 billion in total bookings for its ride-service and food-delivery businesses last year, a testament to the size and global reach of the company as it prepares to woo investors in one of the biggest public stock listings to date. 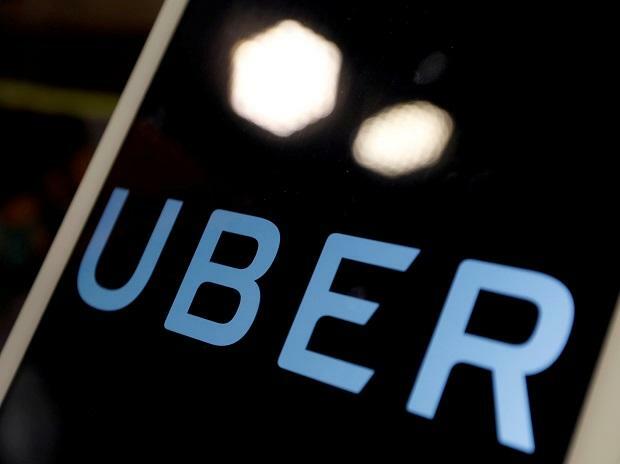 But figures released by the company on Friday showed revenue grew just 2 per cent in the fourth quarter, a sign that Uber continues to heavily subsidize rides in competitive markets, raising questions about its future growth prospects. Uber's full-year revenue for 2018 was $11.3 billion, up 43 per cent from the prior year. Its losses before taxes, depreciation and other expenses were $1.8 billion, an improvement over the $2.2 billion loss posted in 2017. Uber highlighted the annual bookings figure, which was up 45 per cent over 2017, in its release on Friday of a smattering of selected figures for its fourth-quarter and full-year results, a practice it has had for the last several quarters as it anticipated going public. The full-year figures are particularly important to show potential investors the trajectory of the business, as opposed to Uber's more erratic quarterly results. "Last year was our strongest yet, and Q4 set another record," Uber Chief Financial Officer Nelson Chai said in a statement. Uber said gross bookings for the fourth quarter were a record $14.2 billion, up 11 per cent from the prior quarter. That marks an improvement after bookings growth slowed to just single-digit per centages throughout much of last year. Uber's revenue in the fourth quarter reached $3 billion, up 2 per cent from the third quarter and a 24 per cent increase over the previous year. "Uber needs to show it can control costs and can make money, basically provide a strong argument that its business model is not broken and that it can achieve and sustain profitability despite issues with drivers, customers and politicians," said David Brophy, professor of finance at the University of Michigan's Ross School of Business. Uber has no plans to slow investment in Uber Eats or other costly areas such as autonomous car development to show profit any time soon. The company's losses before interest, taxes and depreciation spiked in the fourth quarter to $940 million, a 43 per cent jump over the previous quarter and 21 per cent increase from 2017. "I believe investors will forgive even higher fourth-quarter losses if there's evidence of significant topline growth," said Arun Sundararajan, a professor of business at New York University Stern School of Business. But, he said, Uber's business still represents a fraction of global consumer spending on transportation, and "evidence that Uber is making significant inroads into changing behaviors" is critical to its long-term success.